Our first meeting of 2017 was held at Francoise McCredie. Mavis gave a talk on hedges, the most suitable hedges for our climate. The following are her notes. 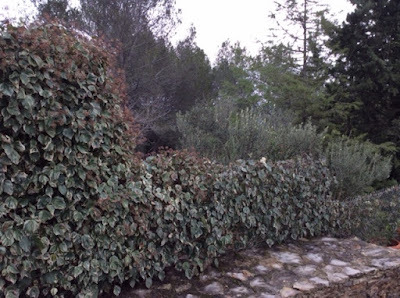 Apart from being attractive a hedge creates a barrier helping to give privacy and lessening noise from traffic and neighbours. It acts as a windbreak, reducing the force of the wind. With a wall the wind hits the wall and is forced up over the wall, crashing down the other side with a greater force. It can be used to hide unpleasant views. 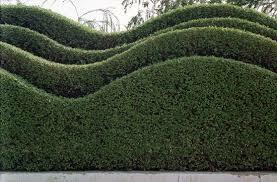 Hedges can make strong and attractive divisions even inside a small garden. Your reason for a hedge will govern your choice of plants as well as the desired final height and width. Will it be evergreen or deciduous? Will it be flowering and loose growing or a formal monoculture neatly clipped. 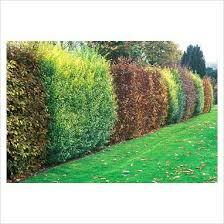 Will it be made up informally of different varieties of shrubs often known as a tapestry hedge. First consider our climate and soil type. Final width is important. On the edge of a property the hedge must not grow over a pavement or road nor intrude over a neighbours boundry. 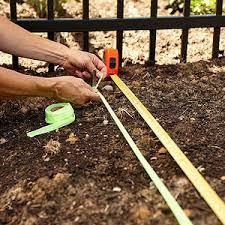 If a hedge is to be straight measure the length and bang in a stake at either end to fix a line for the central planting guide. Remember to allow for final width, leaving space to prune both sides. You should now have decided on your plant choice and bought in pots or bare rooted, the latter being generally cheaper but harder to source. 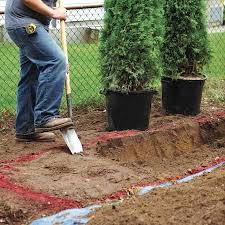 If bare rooted dig a trench the length of your guide line. For potted plants either space evenly in the trench or dig evenly spaced individual holes. Spacing guide. Remember tall thin plants closer together than short spreading plants. 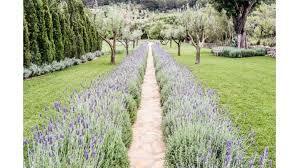 Small hedges (Lavender, Rosemary etc.) average 40 cm height, space 30 cm. Medium height hedges (Viburnum tinus, Pittosporum, Pyracantha etc..), height 110-150 cm, space 50 cm. Tall hedges (Oleander, Cupressocyparis, Taxus (Yew) etc. ), height 180 cm plus, space 100-130 cm. Ask about spacing when buying plants. The soil should be well worked over and weed free. 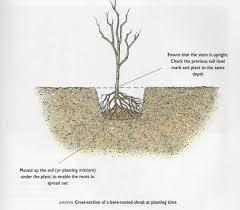 The depth of the holes or the trench depends on the size of the plants you have chosen. The root ball should be loosened and the roots spread out as much as possible. A sprinkling of fertilizer goes below the root system. Do not plant in heavy wet soil as it could rot the roots. Heel in each spade full of soil around the plant, with the soil reaching slightly above the level that was in the pot. Make sure the top level of soil is well heeled in with your boot to secure the plant and stop it rocking. Dress with a complete fertilizer in the spring of the first year. In the first few years deciduous trees need a later winter trimming using secateurs. Large leafed evergreens cut only with secateurs along a stem and not through the leaves as damage to leaves is unsightly and encourages disease. 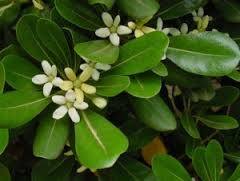 Prune these in summer or after flowering. Young evergreens (Yew, Leylandii etc.) prune lightly in spring, thereafter in summer. Large formal hedges are cut using a motorized hedge cutter. Always cut from the bottom using an upward sweeping action. 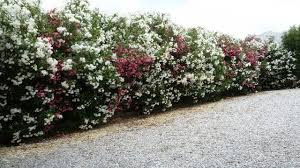 The bottom of these hedges should always be wider than the top as this allows light to the bottom and stops the hedge becoming bare at the base. 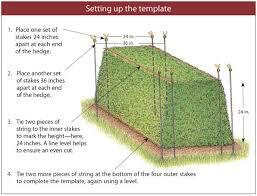 The hedge will then have a flat topped A shape. For an even top one should have a line of string to follow. The day after pruning check that you have removed all the clippings from the top of the hedge. Always remember to use protective clothing when using hedgecutters and a stable ladder. Ivy makes an attractive barrier if planted against a wire fence and then threading each piece of ivy stem horizontally through the mesh. Do this for the depth and the length of required coverage. When established the ivy should be cut back with secateurs in spring to thicken the growth.